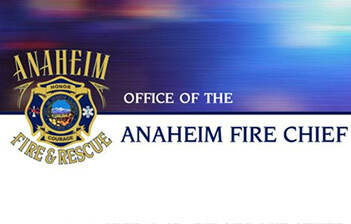 35 Firefighters from Anaheim Fire & Rescue, Fullerton Fire Department, and Garden Grove Fire Department extinguished a fire in about one hour at a yard where numerous tractor trailers were stored. The call was received at 9:13 pm and a 2nd alarm was sounded at 9:27 pm. Seven tractor trailers were destroyed, some loaded with personal property. Damage is estimated to be in excess of $500,000 and the cause of the fire is under investigation. Fire personnel will be on scene throughout the night completing cleanup and overhaul. East Street is closed in both directions between Santa Ana St and Vermont Ave.